Future Proof Docs - The Vital Physician Executive (VitalPE) — Future Proof M.D. Thanks for inviting me to participate. Let me provide some background. I am the eldest of ten children, a board certified family physician and certified physician executive. I have training in public health. I left my job as a hospital executive (chief medical officer or CMO) to open an urgent care center two years ago and began writing a blog for physician leaders last year. I was inspired by Ben Casey (ABC, 1961 - 1966) and Dr. Kildare (NBC, also 1961 - 1966) and brainwashed by my family to become a “brain surgeon” during my childhood. I was a science nerd from an early age. I memorized the periodic table when I was 8 years old for fun. I was fascinated with chemistry, preparing gunpowder and igniting powdered magnesium in my basement as a kid. In seventh and eighth grade, I dissected frogs and sheep hearts purchased from the local hobby shop. In college in the 1970s, applying to medical school was the thing to do if you had good grades and were sufficiently hyper-competitive. I had no exposure to specialists until medical school. By then, I had been imprinted with the idea that family medicine was the noblest medical field. Family physicians took care of the whole family and 85% of the problems that walked through the door. That resonated with me. I made the transition from clinician to full time hospital executive in 1999. I still did some clinical medicine until 2011. I worked exclusively as a hospital executive for several years, then decided on a career change. I responded to an inquiry on LinkedIn. After reviewing the business plan and doing some due diligence, I decided to help open an urgent care center north of Chicago as an equity partner with some other investors. Once that was going, I looked for something fun to do that involved writing and possibly generating income. 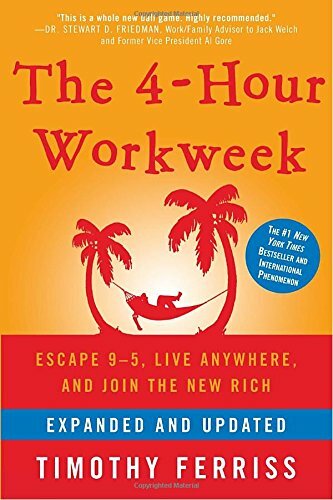 I had read the 4 Hour Workweek by Tim Ferris and was intrigued by his blog and podcasts. I started researching the blog world and decided to start one in early 2016. Since I had negotiated hundreds of physician contracts as CMO, my first attempt was to write about physician employment contracts, at Contract Doctor. After a few months, it seemed that the topic of contracting was a little narrow, so I decided to broaden my writing to topics of interest to emerging hospital executives and physician leaders at Vital Physician Executive. For me there are several challenges, including finding time, learning the technology and maintaining creativity. I think technology was the most challenging. To run a good blog, you need to know how to set it up, create attractive pages, use an email service provider, add plugins, understand search engine optimization and use social networks. Since I am not a digital native, these topics required some effort to learn. I access multiple resources to learn about these topics. My favorites include blogs and podcasts by Michael Hyatt, Pat Flynn, Jeff Goins, Teachable, Copyblogger, Fizzle, Melyssa Griffin and VideoFruit. I also subscribe to Michael Hyatt’s Platform University, and read e-books and traditional books about these subjects. This is a difficult question, because I have made SO MANY mistakes, I have dozens of life lessons. Here are a few of the top 50. The most important conversation to have is the one you’re dreading the most. When I have that conversation, it is never as bad as I think it is going to be, and it always feels good to complete it. Life is short. Having lost several good friends over the years, I am reminded that long term plans fly out the window when you’re dead. Balance long term planning with living as though today may be your last (a bit corny perhaps). Keep learning. It’s never too late to pick up a new hobby or start a new job. It’s fun and it keeps us young. In the past two years, I have started a blog, a new business, and studying Spanish. I had to sit for my Family Medicine board exam. I feel a real sense of accomplishment and satisfaction once I make progress with a new hobby, venture or skill. 4 Tactics for Building Trust and Inspiring Your Team. Why Both a Coach and a Mentor Are Vital to Your Career. Become a Physician Leader and Save the Medical Profession. Team Callahan encourages you to click "Apply Now" and make it happen!